2011 was not a good year for EA. 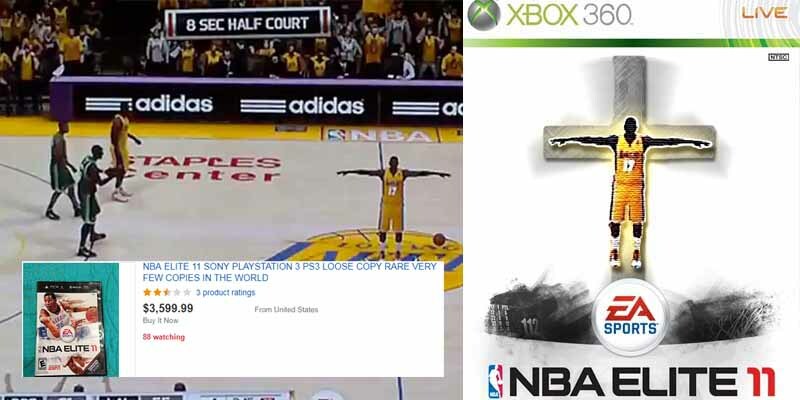 NBA 2K11 was getting near universal Acclaim, while NBA Elite 11, EA Sports’ attempt to revolutionize NBA Live was a complete disaster that almost took the company off the basketball map. Numerous glitches ,like hot spots that players almost never missed from and one that got players stuck in the default pose and became an internet meme, got the game cancelled. Still, a few PS3 copies are still in circulation and are considered rare collector’s items.